At Peirce College, we strive to create degree programs that are innovative in meeting the needs of today’s employers, and also fit the needs of our students, allowing them to get the most out of earning their college degree. That’s why we’re excited to introduce three new programs that are now available to current and prospective students: Legal Studies in Business, a bachelor’s degree in Criminal Justice Studies, and Technology Management. Legal Studies in Business. This program combines a law and business curriculum– so students are able to pursue career paths in both industries. The program focuses on making sure students are comfortable with all aspects of the legal and business arenas by emphasizing contract principles, policies and regulations, and compliances. The faculty teaching this course holds expert and leadership positions in the legal studies and business community, and will take a hands-on approach in teaching students who are entering this field. Library will offer new hours. You asked, and we heard you loud and clear! To better serve our students, the Peirce College Library will now offer extended hours during your most critical times of the academic year. Beginning on August 12, 2014 (Session 6), the Library will have special hours for weeks 6 and 7 of each session. Be sure to take advantage of extended full access to all of our Library resources. Our expert librarians will be available to assist you with everything from APA citations to any questions about research, and are able to direct you to the best tools to get the information you need. The extended hours schedule is timed to offer you more flexibility to work on your final projects and prepare for final exams. Please see the new schedule below. Monday-Wednesday: 8 a.m. to 8:30 p.m.
Thursday: 8 a.m. to 9:30 p.m.
Friday: 8:30 a.m. to 8:30 p.m.
To ensure we’re meeting students’ needs, we will review these new hours in December 2014. If you have any thoughts on the extended hours, we’d love to hear from you. 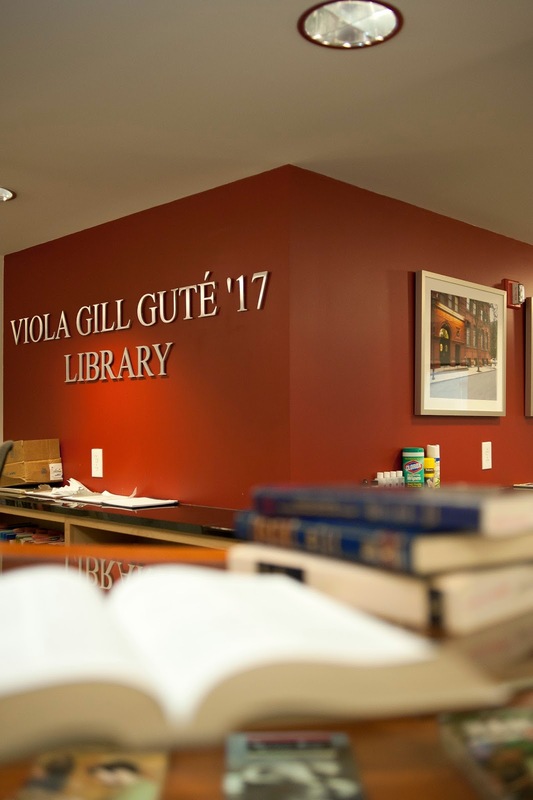 Please provide any feedback, or submit your thoughts to library@peirce.edu. Will you be spending more time at the Library now? Let us know in a comment! tips on a successful internship search. Earlier in July, we shared the story of Peirce student Kevin Fink, who received a job offer after just one month as an intern. But Kevin’s journey towards success started long before his offer, or even his first day as an intern. It started as it starts for every intern – with a dedicated search for the right position. It’s a search that can be intimidating, especially for adult learners who already have a full plate with work, school, and family responsibilities. So we sat down with the College’s resident internship expert, Robyn Dizes, Director of Career Development Services to get her thoughts and perspective on the internship search process. Take a read through our Q&A with Robyn for some helpful hints on beginning your search. 1. What are the most common concerns adult learners have when they begin their search for an internship? A: Many adult learners have full-time jobs as well as families, which can make it difficult to find time for an internship. 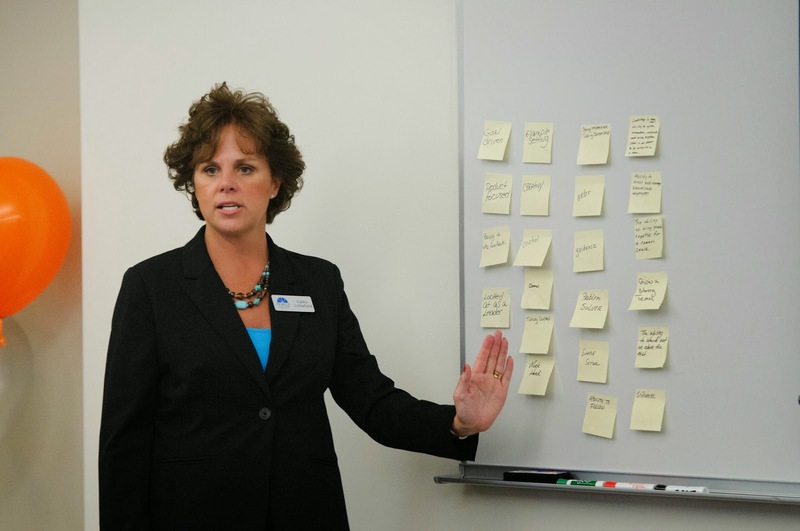 A big concern for adult learners is what their work hours will be like at their internship. If they have a family to take care of, they often look for a flexible work schedule and a company that will understand that need. 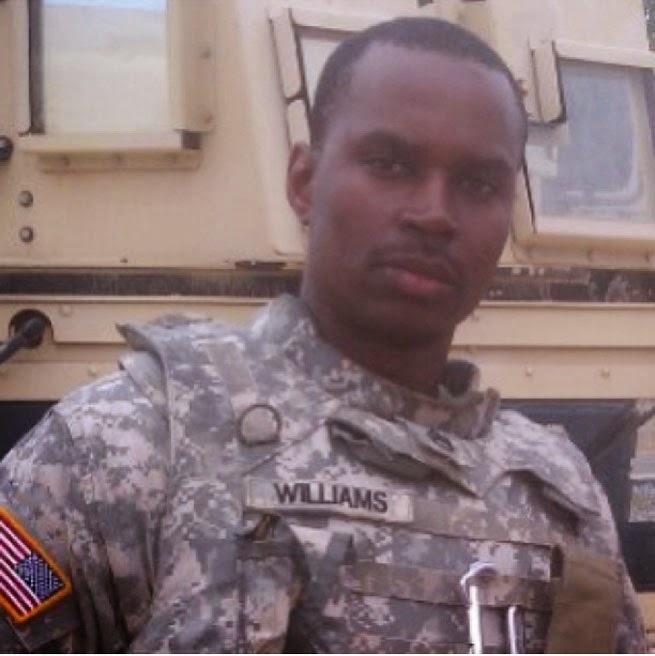 Anthony Williams completed coursework while deployed. Before Commencement, we spoke to two very special members of the class of 2014: Anthony and Natasha Williams, a married couple who have supported each other throughout their time at Peirce and graduated side-by-side on June 9. During that conversation, we learned that Anthony had completed a portion of his degree while he was deployed with the National Guard. Because the College is passionate about supporting military veterans and active service members, we were excited to talk to him more about that experience. Anthony generously sat down with us to answer some questions. Enjoy reading and learning more about Anthony, below. Q: What made you decide to join the National Guard? A: It was something that had always piqued my interest; so finally, I took the test and was accepted. I started off as a Private and worked my way up to a Staff Sergeant, which is my current rank. I have been on two deployments – the first one was to Egypt and the second one was to Kuwait. The College would like to extend our congratulations to Tracie Thompson, a student in the Human Resources Program Management program and an Administrative Technician at the Philadelphia Department of Behavioral Health and disAbility Services, for being one of the recipients of the Digges Scholarship for Comebackers, presented by Graduate! Philadelphia and The Philadelphia Foundation. Tracie, along with 11 fellow adult learners in the Philadelphia area, was granted $2,000 towards her education to recognize her efforts in maintaining a high GPA while balancing school and work. The scholarship is named for the late Robert C. Digges, a commercial artist and World War II veteran. A Philadelphia native, Robert asked in his will that The Philadelphia Foundation award scholarships to help deserving undergraduate students finish college. The Philadelphia Foundation has worked with Graduate! Philadelphia ever since to honor his wish. The Philadelphia Foundation is a public charity community foundation committed to improving the quality of life in Bucks, Chester, Delaware, Montgomery, and Philadelphia counties for over 90 years. Graduate! Philadelphia has helped over 2,000 working adults return to college since 2008, and strives to ensure that every adult who aspires to earn a college degree has access to the resources and support they need to achieve it. Together, the two organizations have worked to award 13 scholarships to Philadelphia residents who have overcome major challenges to return and complete their college degrees. Peirce College is proud to be supporting one of these hard-working students! Congratulations again, Tracie! 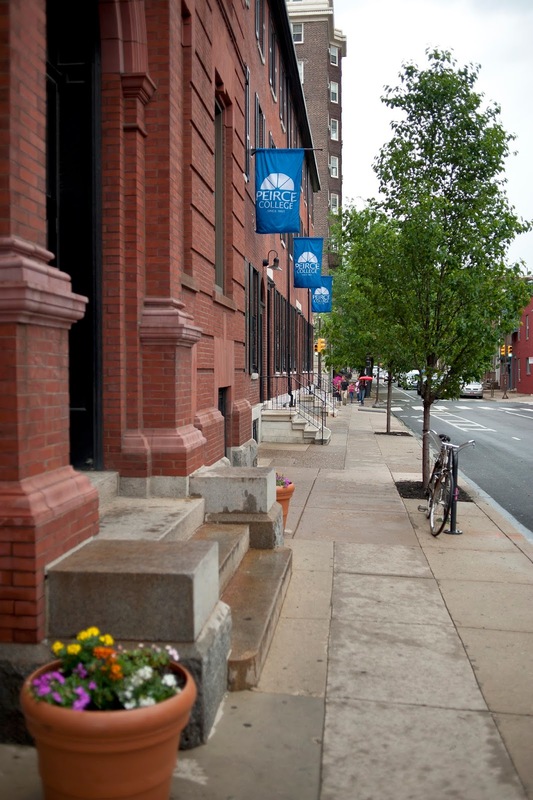 When Thomas May Peirce founded Union Business College in 1865, classes were held on the second floor of Handel and Haydn Hall, a small concert hall at 9th and Spring Garden streets. The oldest known photographs of a Peirce classroom were taken in Handel and Haydn in 1866. 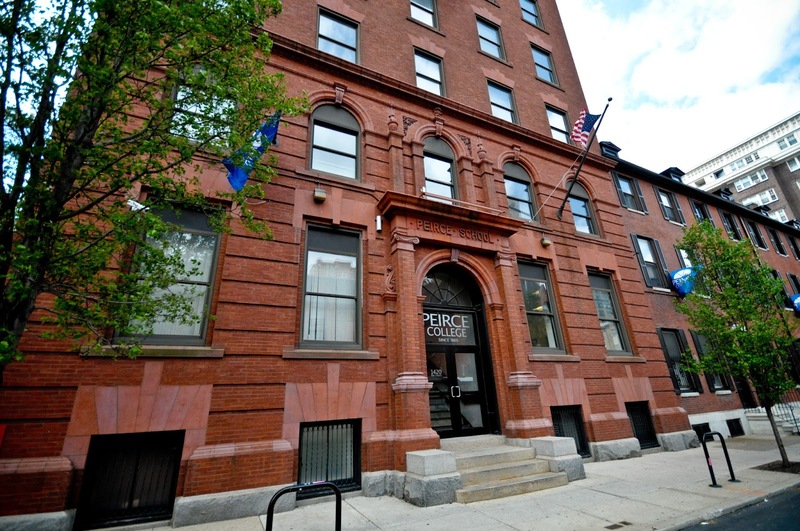 Peirce quickly outgrew the Hall, and the administration began looking for a space closer to the business community in downtown Philadelphia. 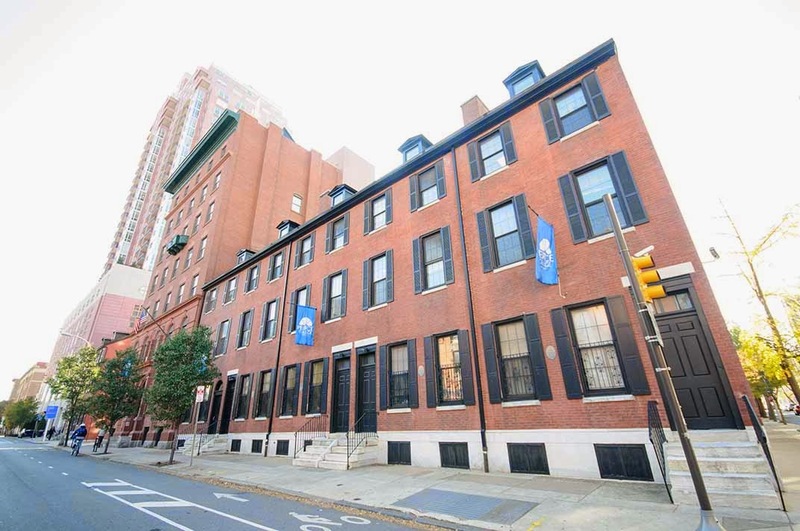 In 1869, the school moved to the Inman Building at 10th and Chestnut streets, where it would remain for over a decade. Chestnut Street was the heart of the business and financial community of the city in the 19th Century, and moving the College there allowed Peirce to build a reputation which helped graduates gain positions with prominent Philadelphia companies. It was at this location where the school became the Peirce College of Business and Shorthand; over the next century the school would go through a series of name changes, but the Peirce name remained a constant. 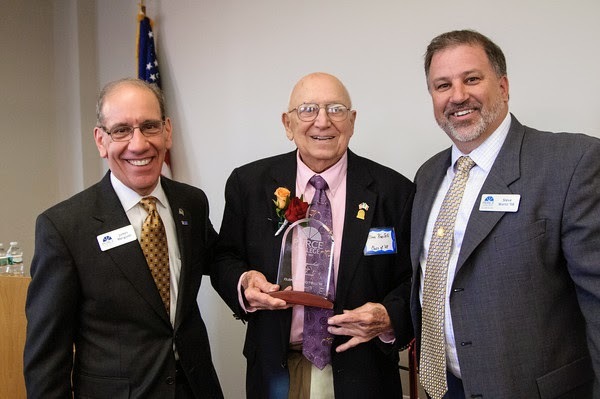 Categories: Bart Everts, Peirce History, Philadelphia, Thomas May Peirce Jr.
Ninety-two year old Peirce alumnus Clem Piscitelli, a member of our Class of 1948, is a proud member of the “greatest generation”, a popular term for the surviving veterans who fought in World War II. When Clem returned home from Australia and New Guinea after the end of the war, he quickly saw that without further education, his options were limited. At the suggestion of a fellow vet, Clem enrolled in Peirce in 1946 with the help of the G.I. Bill. There, he met his wife of 65 years, Liz, and began to build the foundation for his successful career as a student in our Accounting program.